The Lheraud VS Emotion Cognac is, as with all of the offerings from this family run house, created in the traditional manner that's been used in the region for generations. It's a VS quality Cognac, and produced solely from eaux-de-vie from the Petite Champagne terroir. 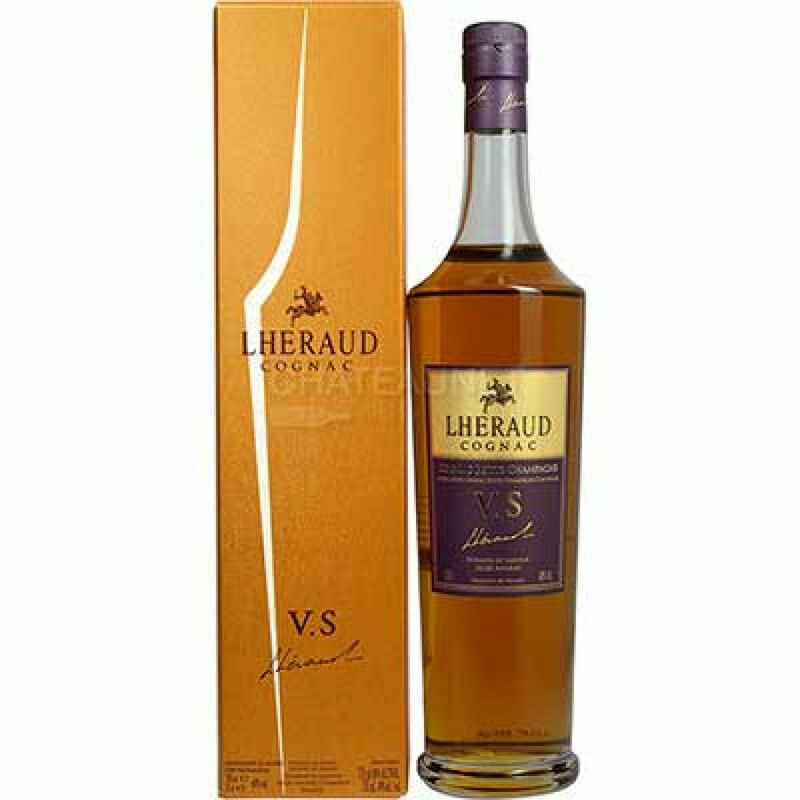 If you've not yet discoverd the world of Lheraud Cognac, then this is an excellent introduction into their small range. With aromas of rasins, vanilla, and creme brulee, the Cognac can be enjoyed neat or on the rocks as a great aperitif, or perhaps combined with your favorite mixer to make a refreshing long drink. The bottle is attractive, and comes in cardboard presentation box.